Laid down, 9 May 1950, as a Maritime Commission type (C3-S-DX1) hull, under Maritime Commission contract (MC hull 2918), at Ingalls Shipbuilding, Pascagoula, MS. 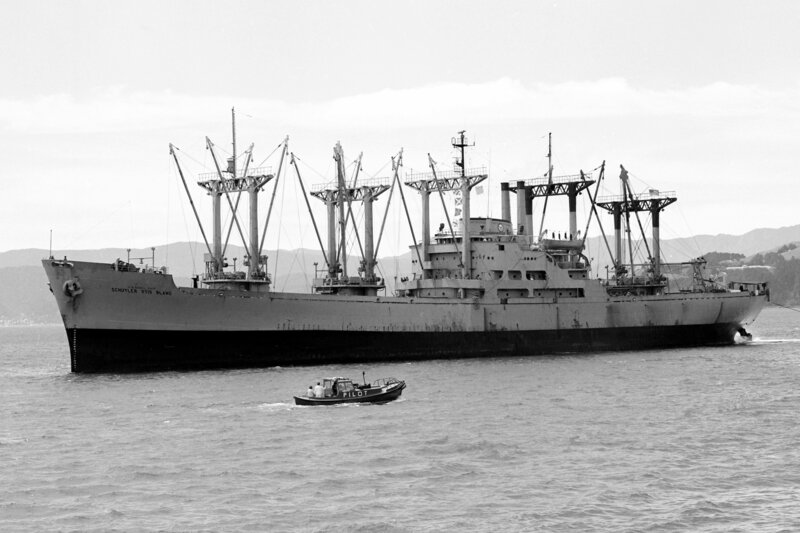 Operated by American President Lines and later Waterman Steamship Corp.
187k USNS Schuyler Otis Bland (T-AK-277) under way, date and location unknown. 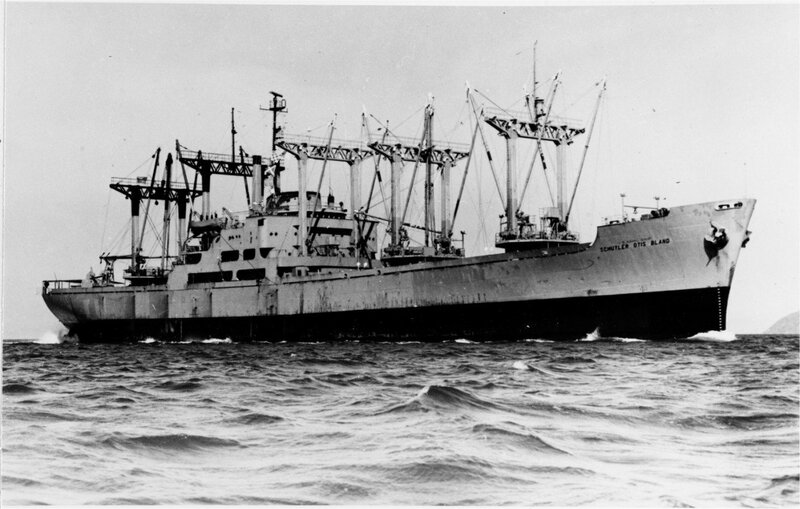 34k USNS Schuyler Otis Bland (T-AK-277) under way, date and location unknown. 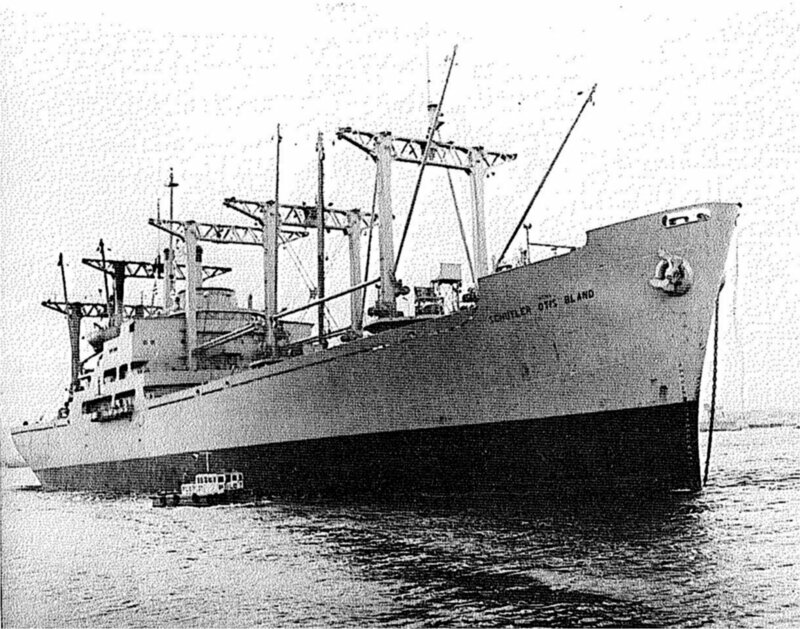 324k USNS Schuyler Otis Bland (T-AK-277) under way, date and location unknown. 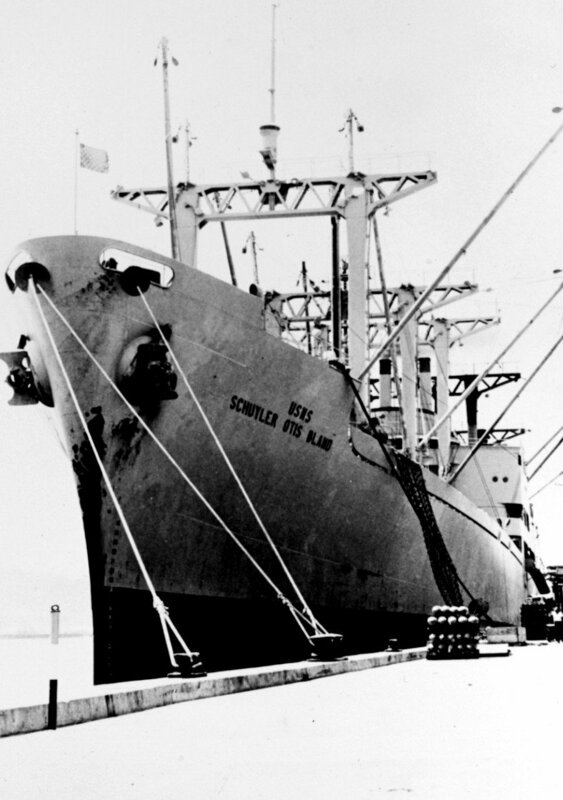 138k USNS Schuyler Otis Bland (T-AK-277) moored pierside, 20 March 1963, location unknown.